There is no denying that when it comes to entertainment it is the web that’s the home to some of the most happening experiments in terms of content and its packaging. One of the key aspects of the content on the web is that it is far more personalized than what we generally associate with both cinema and television. If we talked purely in terms of demographics then the content on the web is primarily targeted towards the youth. A lot of new VOD services catering to the Indian youth have sprung up in the recent times. While all of these offer a wide range of content most of them are lacking in terms of regional content. It is here that ZEE5, a VOD service run by Zee Entertainment Enterprises Limited, scores heavily over the others thanks to its multi-lingual content comprising as many as 12 languages. It is really heartening to see how Zee is breaking its traditional approach and targeting the youth by coming up with Original shows on ZEE5. Launched in February 2018, ZEE5, with the brand identity of ‘Apni Bhasha Mein Feel Hai’, has already become home to some really cool regional content that beats the competition hands down. 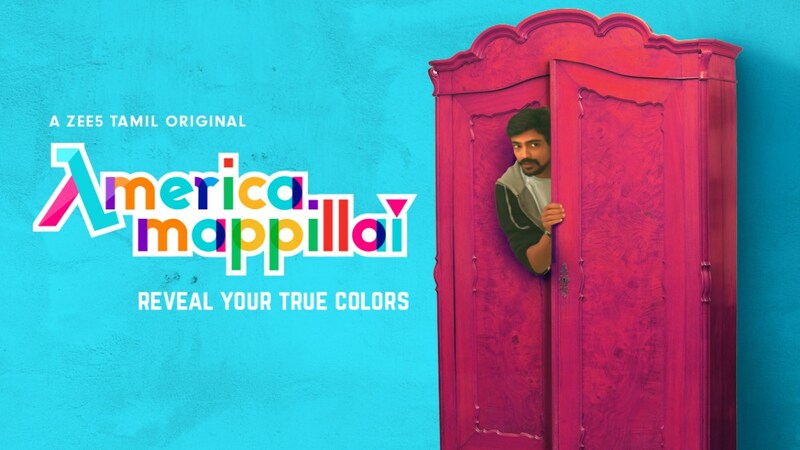 One really cool amazing web series that deserves a special mention is America Mappillai. The 8-part web series is directed by Praveen Padmanabhan and stars the likes of Leela Samson, Raja Krishnamoorthy, Gokul Anand, Arjun Chidambaram, Namita Krishnamoorthy, Sruthi Hariharan, Delhi Ganesh and Rakesh Ram. The series, which offers a rather playful take on the ‘America Mallipai’ stereotype depicted in contemporary films and television serials, revolves around a young NRI named Ganesh who suffers from commitment phobia. When his father tries to pressurize him to get married he comes up with a master plan with the help of his gay friend Karthik even as he himself struggles to come to terms with his own sexuality. The fact that episodes are roughly 10 minutes in duration makes them easy to watch and one never really feel stuck as often is the case with binge watching. In fact, even if one chooses to watch all the eight episodes in one go it will take just over an hour. The screenplay, written by Raja Ramamurthy, does well to address sensitive subjects like homophobia while offering interesting perspective on the institution of marriage. What makes American Mappillai unique in comparison to an American series like Master of None is how the makers have consciously tried hard to subvert the stereotypes which make the series a worthy addition to the promising canvas of Tamil web series. Interestingly, each episode of ZEE5 Original America Mappillai is named after a colour. But it just doesn’t end there, for the colour references work quite well at the sub textual level as well. The series also endeavors to break the binaries and end up asking some pertinent questions that speak to out times. If we look at the recent films in Tamil cinema a lot of the times a subject as complex as gay identity ends up getting a frivolous treatment that fails to represent the problems faced by the gay community in the right perspective. In the absence of the correct perspective the subject gets reduced to farcical levels. It is here that the creative team of America Mappillai needs to be congratulated. It is worth mentioning that one important theme typically associated with a Hindu marriage is clearly absent here. Usually, the family of the bride and the groom are very careful about caste during match making. But the question of caste clearly doesn’t arise in case of a gay couple. By choosing to overlook the notions of caste the makers seem to have made a powerful statement about the omnipresent homophobia prevalent in our society. And they achieve all this without ever compromising on the entertainment front. One of the strongest points about America Mappillai is its colorful characters. Right from the onset we are hooked to the characters and want to know more about them. This can be attributed to the fact that the characters are very much believable. Yes, there are some creative liberties that are taken but only to enhance the character arcs and add depth to the overall characterization. Only the web can allow scope for such improvisations and neither cinema nor television seems equipped at this point in time to accommodate such stories. The chemistry between different characters is quite solid and adds conviction to the relationship dilemmas that the series tries to explore. The acting performances in America Mappillai are really impressive all around. Credit goes to director Praveen Padmanabhan for eliciting just the right kind of performances from his team of actors. Here, Leela Samson deserves a special mention. According to the makers, it was Samson’s character Vasantha that was the most complex to tackle. In fact, it went through a series of changes before they finally got it right. And, fortunately for them, Samson plays it to a tee, without ever missing a note. If you are looking for something refreshing then America Mappillai is just for you. So, what are you waiting for? All you need to do in order to watch America Mappillai is to download the ZEE5 app.